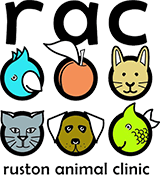 At Ruston Animal Clinic, we offer a wide range of pet care services to help keep your dog, cat, bird, reptile or exotic pet healthy throughout their entire life. From the time your pet becomes a part of your family, you can count on Ruston Animal Clinic to provide them with the caring veterinary services they deserve. 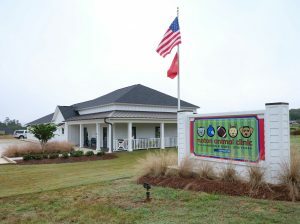 Ruston Animal Clinic provides comprehensive health care services including preventative care such as vaccinations and flea control, to surgery, dentistry, radiology and more. Together we will keep your loved one happy and healthy.